Every day from 9 am to sunset. Please see our prices here:. 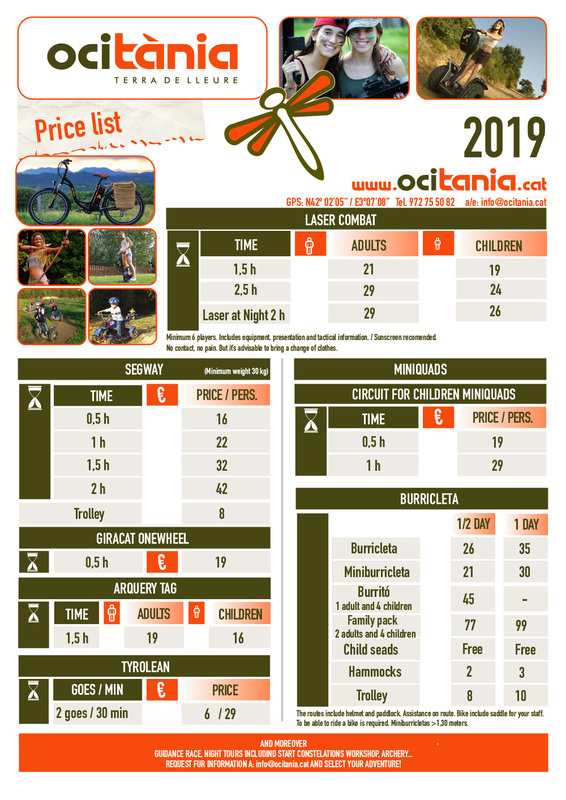 Prices for adults and children under 18 years. Please read carefully all the conditions and requeriments. And remember that we organize tailor made activities: if you don't find here what you need, contact us!